Checking the hygrometer I keep in my acoustic violin case, I found the humidity had gone low. About 37% (and yes, before anyone asks, I am the sort of person that does check and calibrate hygrometers that I use). That is only to be expected, since the air has been dry lately here with all the snow outside and the furnace on due to winter. From what I have been told, about 40-50% humidity is good. Personally, I feel that for the safety of an acoustic instrument, temperature is more of a critical concern. I have seen a lot more cases of damage to instruments over the years from temperature extremes than from the air being a bit dry or a bit moist. But humidity does have effects on the tone that you can often hear. Even without checking the hygrometer, I would have noticed the violin sounded a bit thinner and harsher than usual, which is the typical effect of the wood becoming a bit drier than one might like. 37% isn't dangerous to the instrument, so far as I know. It just isn't optimal. The wood of an instrument will gain or lose moisture from the air rather slowly. The harder woods like the maple and ebony very slowly, and the softer woods like the spruce of the top somewhat quicker. The hair of the bow (and from what I understand, gut strings, if anyone here uses them) react to differences in humidity quite quickly. Wood will take up to a few days to dry out much when humidity is low, but things like bow hair will react in minutes. If one usually keeps instruments in their case, the wood of the instrument will hold some moisture, and the finish will also help somewhat to slow changes. But when the air is likely to remain dry for weeks or months, it can become a concern, at least so far as the tone of the instrument will be affected. For folks who keep their instruments out of the case, the only remedy will be a humidifier in the room or the house, but for those who use the case then the inside of the case can be kept humidified. For guitars and similar instruments, when the air gets very dry in the winter, I usually just make a case humidifier by cutting some slits in a plastic sandwich bag and putting a damp sponge in it and tuck it somewhere inside the case. I have some concerns about that method with my violin, though, since the violin is much less wood than a guitar, and the case is comparatively much smaller. Use a smaller sponge? That would be a possibility, but the smaller they are, the quicker they dry out. A sponge also puts a lot of moisture into the air in a case rather quickly, and really what we want is a nice steady humidity rather than just a lot of it. So I have been experimenting with something called "liquid marbles" lately for this sort of thing. They are made of a sort of gel that absorbs water and would provide a slower release than a sponge. I have also heard people who use them in tobacco humidors claim that they are less prone to mold and mildew than sponges. They aren't expensive. I got these from a local dollar store for 1$ for about a quarter litre of them. For an acoustic guitar case, I found it took about a half a container's worth to keep those effectively humidified. A violin case is much smaller (and the instrument is smaller as well), so what I am trying is a medicine bottle full of the "liquid marbles" with holes drilled in the lid. Call it a cylinder about 3 inches tall and an inch across, approximately. If it works well enough, then I can consider a more practical and presentable way of going about it. Right now, I am at the stage of testing the marbles and the container size to see if it is actually effective for this purpose. The liquid marbles don't drip or spill, and they are supposed to have a more controlled release of moisture than other methods. So it could make a good solution to the problem. So far (after about 20 hrs) the humidity in the case is up a little. It is up to about 40%, while the house hygrometer has been pretty stable at 35%. I know from past experiments with other acoustic instruments that it will take at least a few days for the humidity in the case to stabilize, since the materials of the case as well as the wood of the instrument need to absorb moisture from the air in the case until a balance point is achieved. Humidifying instrument cases can have some drawbacks, though. I have heard that too much humidity can be bad for the instrument. That makes sense, but I have to say that I have never yet actually seen it cause a problem on any instrument I have worked with personally. However, keeping the humidity good for an instrument also makes it better for mold, mildew, fungus, and probably insects. Those would probably be more of a concern in warm weather, when I don't usually need a case humidifier. So this is basically my "test jig" to do some proof-of-concept with the liquid marbles before spending time and materials on a prettier way of going about it. I should know in a few days if it is going to work well enough to be a good solution to humidifying my violin case during the dry winter months. I have heard of the "dampit" type humidifiers that go directly into the instrument and know that some people swear by them. But I have seen a few too many guitar repair posts on some forums where damage was caused by the dampit touching the wood of the inside of the instrument or dripping water onto the wood. I'm not the sort to be willing to risk "being careful" if there is another option that may be more foolproof. Humidity greatly changes the wood. I have had violins with wide open cracks in them where all I did was to bring up the humidity in the viol;in and the crack closed up and was able to be glued and cleated. Had I tried to clamp the top closed the pressure would have left marks on the edge of the top but with raising the humidity very little clamping pressure is needed. 41% is the ideal humidity for a violin, according to Rob Wilson of Wilson's Fine Violin's in Birmingham, Mi. Shar says above 40%, ideally 50%. I don't think it's going to be possible to keep it at a precise level with something this crude. A violin case is also pretty small, and it will lose almost all that humidified air whenever it is opened and the instrument is taken out to play. But in the 40-50% ballpark may be manageable. It is up to about 43% now, while house humidity has dropped to 31%. So it appears it can do enough to be plausible. Now the question will be if it may do a bit too much. I figure I'll know within a few days, when I find out where it balances out. We are going to get different opinion's on humidity, depend's who you ask. I have to believe that 50% is too high, too much moisture. Once a violin is exposed to high humidity, it change's the total sound of the instrument. I believe you'll never get the original sound back, whether it be a good sound or bad sound, the humidity messes with the wood structure. Example: Apply latex / water base primer to a raw piece of wood and the grain of the wood raise's. Little hair's that make the wood rough to the touch, which need to be sanded to smooth it. Latex/water base primer should never be used as a primar on raw wood, alway's use an oil base primer or you'll end up having to sand it to get a smooth surface. The same thing happen's on the inside of a wood instrument that depend's on air volume and movement to create a nice sound. Although you may not be able to see the tiny micro hair's that are raised on the wood from the moisture, but they are there. The tiny micro hair's disrupt the movement of the air inside the instrument. The humidity inside your home is more important (IMO) than the humidity inside the case. You don't play the violin while it's in the case and the structure will change rapidly once it's outside the case and exposed to the humidity in the house. I had my Pernambuco bow rehaired at Wilson's Fine Violin's back in March. About two day's later I couldn't unscrew the screw enough to relax the bow hair's, in fact, I had to bend the bow stick in order to remove the frog. I took the bow back and asked Rob Wilson, why he made the hair's so short / tight. He asked what the humidity in my home was, I told him according to my hygrometer about 55%, he said, that's the reason. While I was standing there talking with him, (about 5 minute's) I checked the bow again and low and behold, the hair's were loose and almost dangling. The humidity in his building was ideal, he has a lot of violin's that he need's to protect. That's how fast moisture can affect a wood instrument. Right now, my hygrometer say's 50%, but I don't know if it's calibrated to true and all 4 of my bow's, the hair's are tight, (well, what's left of the hair's on them) even being unscrewed. I think a wood instrument can withstand the change's in temperature without an adverse affect as long as the humidity remain's constant. Heat expand's, cold contract's, but I still maintain it's the moisture that does the damage. This is one of those topics that will never have a definite answer, everyone will have a different recommended humidity. I looked into when I was making my own case humidifier and found answers from 35% all the way to 75%. I personally keep my violin case at ~45% to 50% (calibrated hygrometer) as thats what my humidifier is capable of and my violin seems to like it. I am unable to humidify my apartment and during this winter it varies from 16% to 20%. If i take more than a 10min break the violin goes back in the case, which I always keep closed. I personally don't think wood releases its moisture as fast as people think at normal temps (70-75 degress F). I've made longbows and recurves from staves and you have to keep them in a hotbox for a week or more until they are fully dried, and thats not from fresh staves. With bows, I believe the hair is going to respond to humidity changes a lot faster then the stick would, especially if there is any finish on it. I could almost watch the tension increase on my FM carbon fiber bows after I take them out of the case. After I set the tension to slightly less than pencil width I have to release tension on the bow every few minutes until the hair has settled. 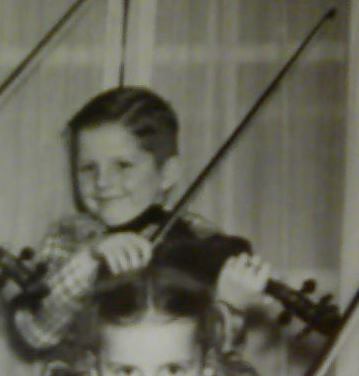 My bows dont live in the case as much as the violin and when Im done playing, the hair is still tensioned with the screw backed out a couple extra twists. After a couple minutes in the case, the hair has loosened. Maybe you know that some hygrometers are made using hair. The hair on a bow will react very quickly to humidity. Hygrometers were at one time made using hair to measure humidity. You can make a hygrometer using hair. I think the subject started out not being about bow's, but about the instrument itself. I just gave an example of what humidity will do to wood. Sorry about mentioning bow's. You guy's can keep your case's as high as you like,,,I was just saying what moisture will do to wood. I'll take the lower humidity myself. p.g. you began your post with the same statement as I. Well, in a sense though, the bow is relevant since it is also made of materials that are affected by humidity and it definitely has a lot to do with the sound one gets out of the violin. A lot of people do keep the bow in their case, so it will also be affected by using any sort of a case humidifier. So far it seems to be holding steady at about 43%. I don't want to speak too soon, but it may be at least close to the homeostasis/balance point for humidity with this rig. If 43 is what it ends up, I can work with that. I just don't want to risk damage when something like a blizzard is going on and the furnace is working overtime and the air here can get down into single digits for relative humidity. I want the humidity inside the case to act as a buffer to protect the instrument from drastic changes. Keeping the whole house in even the standard human comfort zone of 40-60% just isn't going to happen. This is a big old drafty house, and large scale environmental gear just ain't in the budget. LOL If we can keep the temperature over 60F when it gets seriously cold and windy out, we're doing good. I've seen a lot of variation in people's views of how much humidity is good for the instrument. I pretty much expected that, since people never agree on anything with this instrument. But it is possible that the violins themselves may vary a bit as to what is best, depending on age and the circumstances they were made under. This project hasn't been a huge change in humidity, really. 6%. But that actually has made a noticeable difference in how the instrument feels and plays. The harsh edge on the sound has gone and it actually physically feels slightly heavier or more solid. I also noted another little thing that I found interesting. My acoustic has a slight bit of a corduroy feel when you run a finger across the top, and that can also be seen if the light is just right. What I mean is the finish isn't so thick that you can't feel the woodgrain of the top through it. When she got a bit dry, and I started this project, the "corduroy" or "ribbed" feel was more visible and pronounced. It has gone back to being just about enough to be noticeable, like it was when I first got her. Theory: When they make an instrument, they logically make it smooth before they do the finishing. The wood is unfinished on the inside, though, so as Fiddlestix says, it reacts to moisture. The less dense parts of the grain absorb moisture easily while the harder parts of the grain absorb less/slower, and that would be what gives the corduroy look to the finish, rather than some intentional part of the finishing process. I am theorizing that it may be a reaction to humidity changes and that it becomes more pronounced when the instrument has been subjected to sudden changes and settles down as the wood absorbs or loses enough water to get back into stable balance. Another theory that is maybe a bit out there comes from thinking about what Fiddlestix was saying about the tiny micro hairs on the surface of the unfinished part of the wood inside the instrument. Those being raised by wood reacting to humidity changes over the years may be part of the ageing process that eventually results in older instruments having a somewhat mellower sound. Such micro hairs would add a slight amount of damping in the very high frequency ranges and might reduce some of the high frequency interference from the sound waves bouncing around the inside of the soundbox, making the sound a little smoother and more focused. Think of some stereo speakers and the layer of acoustic foam or other damping material inside that is there to control similar vibrations to get a better sound on the speaker. Those are just a couple wild theories at the moment. They are being some food for thought for me. Oh, and on the topic of bows, look up weather sticks. The violin bow is usually hardwood which will react less than fir or birch, but at least extremes of humidity one way or another might possibly cause a bit of warp or twist that may only be there when the stick gets very dry or the weather is very humid. Just a thought. Any change's that occur on the outside of the violin's finished/sealed surface, actually take place inside the violin on the unfinished wood. when the instrument has been subjected to sudden changes and settles down as the wood absorbs or loses enough water to get back into stable balance. Thank you for the thread, Daniel. Note that 'homeostasis' applies to biological phenomena, which would be a stretch in this case, despite that wood and hair were once living. Edit ca. Sun Jan 6 11:49:48 CST 2013: The links I provide above do not seem to apply exactly to the situation of moisture in a porous solid in equilibrium with moist air, but I believe the concepts in the link on Solubility Equilibrium can be adapted to that situation. @RU: Yeah, homeostasis isn't quite the right word, but it was what comes to mind since the way the processes are functioning seem to me to possibly be more complex than a simple equilibrium and the parts involved may still function somewhat as they did when part of a living organism. We can agree that a piece of wood used for a violin or bridge is dead, within our usual manner of thinking. But the way water moves in and out will still work through cell walls, and the capillaries in even a piece of aged hardwood will still take up liquid in a fashion reminiscent to a live stalk of celery. Slower and more a passive process than the wood had in life, but I think it may be part of what gives wooden instruments like the acoustic violin some of their unique properties. But yes, homeostasis might imply the parts of a living organism to some folks. I was thinking more in terms of it's literal "homeo=same, stasis=standing" sense, and used it because I am beginning to suspect the process is a bit more complex than say a pile of salt with a certain amount of water in a sealed container, which will reach equilibrium after a certain amount of time. Agreed, though, that it may not have been the best choice of terms. The finish, for that matter (depending on what sort of finish was used) may also be somewhat permeable. Oil finishes allow both water and air to affect the wood, though much slower than with unfinished wood, and spirit varnishes which are organic resin dissolved in a solvent base also will still allow some effect from humidity and atmosphere even though it will be much slower than on unfinished wood. The "sealer" also may be mostly gelatin (hide glue), which is not entirely dead/stable in the same sense as say, a PVA "white" or "carpenter's" glue (vinyl). That it still is somewhat hydrophilic and will tighten and relax slightly with changes in moisture and temperature may be something that actually helps keep together an instrument made of materials and finish similar to what were used a century or more ago. But that is largely just "wondering", and such matters are outside the scope of most players' interests. A properly traditionally finished violin, though, the finish itself would react to changes in humidity to some degree, and would also be at least a small part of the puzzle. Umm.. we now return everyone to your normal entertaining and musical thoughts.. Here are a couple of videos that demonstrate these "liquid marbles" or "water marbles" (brand name Aqua Gems) and something called "Water Balz". Sorry if they have the flavor of advertisements, but they are informative. By the way, how do I put in a link to a video without the link displaying anything graphical unless clicked? I'd say that by now, the humidifier and case have probably stabilized about as much as they are going to. It holds pretty steady in the low end of 40%, with current climate and weather. However, on the advice of some folks, including Fiddlestix earlier in this thread, I also got some humidifiers for the house. Nothing fancy or new-fangled, just three old "warm mist" type humidifiers that were going very cheap at a second-hand store. I paid less than 10$ for the three of them altogether. They go through over a gallon of water a day each, and the house humidity has been holding pretty steady at around 40%. I was advised to consider any "in-case" humidifier as being just a bit of insurance and not to think of the case as a sealed environment like a space station or something. And to not count on the case too much, since the materials it is made of just aren't all that good for maintaining an instrument so far as conditions like humidity are concerned. An in-case humidifier or using a "vapor vial" or whatever can be useful to moderate extremes and sudden changes while the instrument is in the case, but shouldn''t be looked to as a 100% solution. Most inexpensive modern cases are made of basically closed cell foam, covered with some polyester canvas and lined with some sort of soft acrylic plush and a bit of foam rubber in there somewhere for padding. That makes them excellent for protecting the instrument from typical banging around and temperature changes, but not so good for humidity. Somewhat nicer cases usually will have a wood shell (at least thin plywood), maybe leather over that, and be lined with some variety of natural fibre cloth or in some cases soft suede leather. Those materials all add a bit more protection and will help hold humidity stable to some degree. Synthetic materials can have many good design points, but most of them don't absorb and release water vapour like some natural materials do. I'm not quite up to the notion or relining the case or building a new case just at this moment, so another project on my list will be to make a bag out of most likely silk to keep the violin in when it's in the case. That's not too tough a project and would be less work and expense than buying or building an entirely new case. But back to the humidifier. I think it does help a bit. No huge miracle, but a bit of extra "insurance" that can help protect the instrument in dry weather. Certainly worth a little time and a few bucks, but nothing where I'd advise running right out and spending a lot on an expensive one. The hygrometer is probably actually more important, so one can see what the humidity in the case is. Those can be gotten inexpensively as well. Where I think that keeping the instrument in a better and more stable humidity range helps is that the sound seems more consistent. Subjectively, I would also say the "feel" and "playability" of the instrument are enhanced by keeping it from getting too dry.. But that is such a subjective sort of observation that I don't even know how I'd go about showing it qualitatively. Bottom line, I like the in-case humidifier and feel it was well worth the couple bucks I spent on the project. So it might be worth a few bucks more to come up with something a bit nicer looking. But I wouldn't run out in a panic and spend the rent money on a fancy one. Thanks, Daniel for bringing my attention to the need to check the humidity, particularly in the winter. I confess I've never paid any attention to it, nor has any other fiddler in this area that I've ever heard them mention it, but I do have 3 hygrometers--two digital and one analog--and I did check them a week or two ago. One said 16%, one was just blank, the other (analog) said 23%. Eventually I found out the blank one would go blank below 30%, I guess as a warning, and it apparently was designed for string instrument usage. But a trip to WalMart (no thrift stores in this small-town area) and they were having a Christmas humidifer sale on one small-room model for $26 which I bought. I've been running it nonstop now in my small bedroom and after sealing some vents in the room (forced air furnace heating for this mobilehome) and adding a small space heater for its own heat and not using the furnace heat in the bedroom, and bringing all my various stringed instruments into the bedroom, the results have eventually been a humidity level of 30-33% (digitals) and 39-41% (analog). And even though I've never had any problems from the winter lower humidity, it's now more comforting to at least know the instruments are at a better humidity level than before. And I'll certainly keep a better eye on the humidity from now on! It's easy. A mixture of salt and water will reach a certain equillibrium. It varies depending on what salt is used, but for common table salt (NaCl), the point will be about 75% humidity. So you take a small container, teacup sized or smaller, let's say. Fill it up about halfway with salt, and then add enough water that the salt is damp, but not completely dissolved. A "slush", basically. Put that into an airtight container with the hygrometer(s) you want to test. After 12 hours or so, the humidity should read close to 75%. If you use a *large* airtight container, it might take longer than that, but when readings are stable for more than a couple hours at room temp, you pretty much have to be at equilibrium. It may be a couple % off, so not "lab grade", but definitely close enough for most purposes like this. You really only have to do it with one hygrometer, and then you can use that as your "reference" that you set the others to match after they've been near it for an hour or so. And where, oh mighty sage of the DIY, can we find a good violin case sized Hygrometer for inexpensive? Or even better what brand/Model hygrometer do you use? Did the "marbles" ever sweat, even inside the bottle? Did you design a holding system to keep the bottle stationary during transport? Do you think the same proportions would be viable for a viola case?